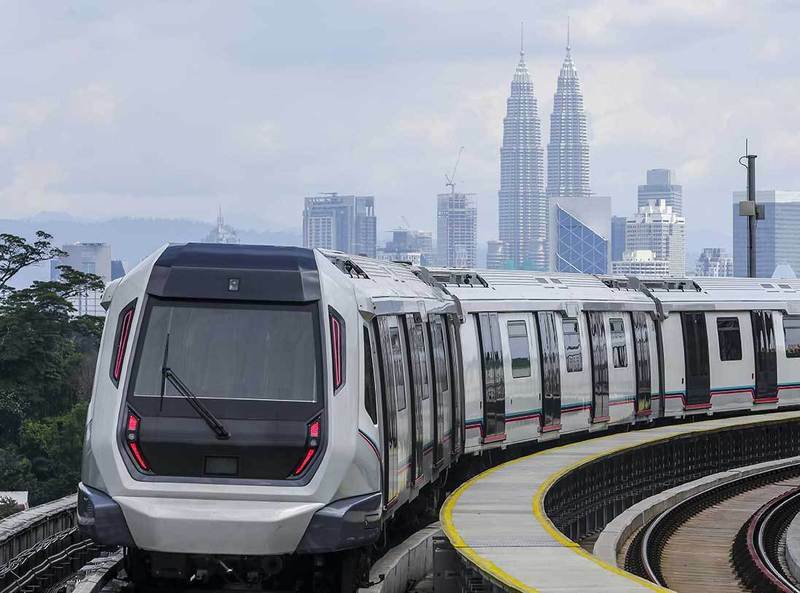 With the rapid expansion of public transportation facilities in Malaysia these few years, and with more planned till 2020, it is common to see that an increase in the market value of properties near these transit facilities. 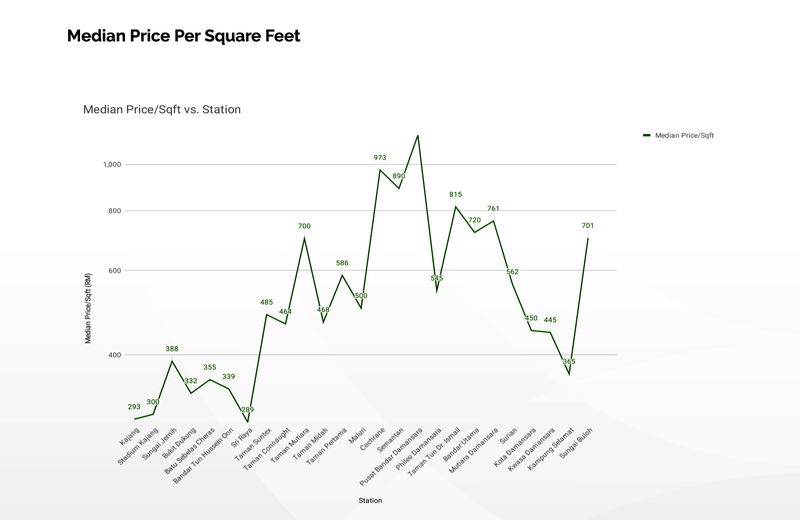 This is mainly caused by a simple factor: these stations are an asset to potential and current residents of its surrounding neighbourhood, a “transit premium”. However, when the market value increases to a point where the potential or target income group could not even afford to purchase properties around the area, the MRT project could not meet the purpose as it is designed to connect the Middle 40 percent (M40) and the Bottom 40 percent (B40) income groups to the city. 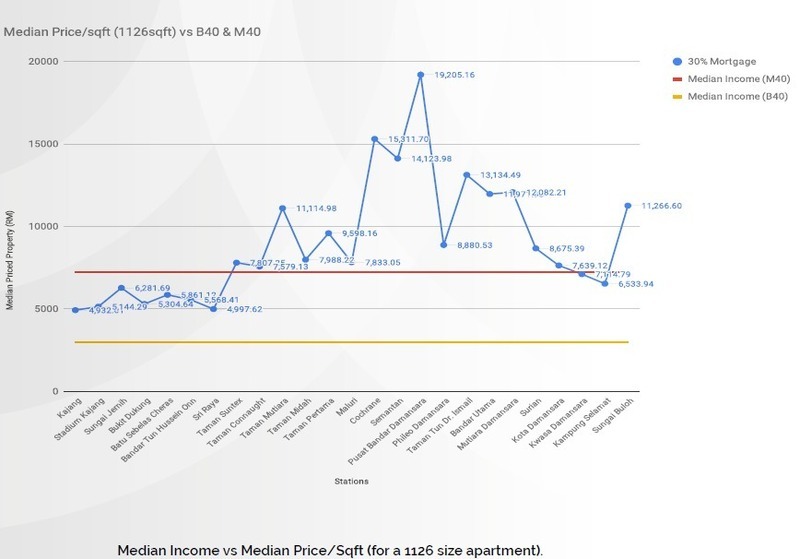 In a recent study “The MRT Report: The Affordability of Homes Surrounding MRT Stations” by the Centre for Governance and Political Studies (Cent-GPS), the prices of homes neighbouring the Sungai Buloh–Kajang line of the Mass Rapid Transit (MRT) are inflated beyond the financial reach of the M40 and B40 income groups. “If we take for example a 1,000-sf serviced apartment that is being sold at RM600,000 because it is near to an MRT station, it becomes very difficult to find a buyer because the mortgage cost would be around RM2,600 per month,” Cent-GPS reported. 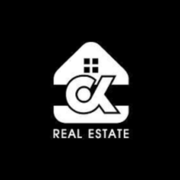 “When the price per square foot for properties within 1 km of each of the 31 stations along the MRT Sungai Buloh–Kajang (SBK) line is evaluated, we find that there are no properties within reach of the B40 group,” said Zaidel Baharuddin, Cent-GPS Director of Strategy and Alliance. According to Cent-GPS, their research states that the most expensive properties are around the Pusat Bandar Damansara station. Homes within a distance of 1 km of the station has an average price of RM4 million, which makes these homes only affordable to 1% of the Malaysian population. Another surprise finding by Cent-GPS is the case of Sungai Buloh and Taman Mutiara stops which are “illogically high”, according to the study, even though these areas are not considered as upscale neighbourhoods. “These stations are not considered traditional upscale neighbourhoods but the new developments around the stations are Semi-D and Bungalow homes that are highly unaffordable,” said Zaidel. Over a year since the opening of MRT’s second phase, the SBK MRT line has been experiencing low ridership. In March 2018, the line served 140,000 passengers a day, “falling well short of a profitable target of 250,000 passengers,” according to Cent-GPS’s report. Hence, Cent-GPS sought to obtain more information about how and if the home around the MRT stations can be available to the two main target groups (M40 and B40), given the assurance that the MRT heavily focuses on serving those two main groups. However, aside from the high prices, the study also found that properties near MRT stations are not conducive to accommodate families. “When you look at the size of the property that comes with the best affordable price, very few of the stations would be able to accommodate a couple with a young child. Even if we assume that a young family would require 1,000 to 1,500 sqft to live comfortable, very few stations provide the required space,” the report said. In addition, the flagship housing project by Perumahan Rakyat 1Malaysia (PR1MA) is not located within a 1-km radius of any MRT station. “New developments it seems, who are building close to the MRT, are not building for the median income or common man. 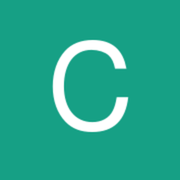 The M40 and B40 do not benefit,” Cent-GPS said. 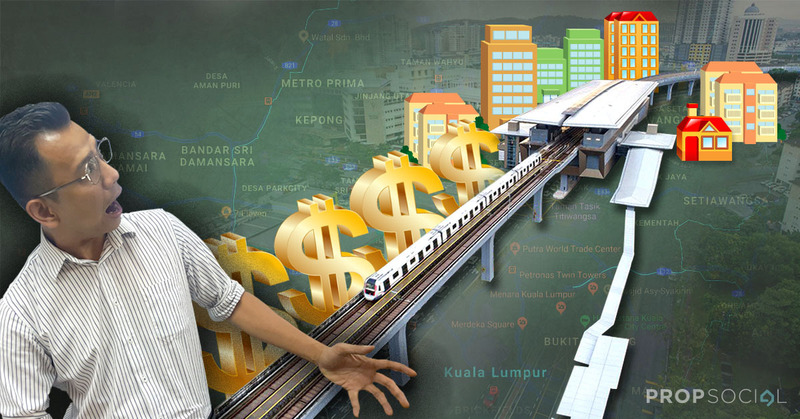 According to the Cent-GPS report, approximately RM36 billion tax money was spent on the MRT, and therefore its success is vital to the future development of public transport in Malaysia. “If this study can conclusively point to a failure in the MRT planning, then we can avoid casting a net of failure on public transport in Malaysia; it can simply be a case of good intent, in keeping with a world of green energy, but unfortunately struck by bad locational planning,” Cent-GPS stated. Social mobility is a crucial factor in creating an inclusive and comparatively equal nation, the report pointed out. “The government, whether through regulations or dialogue, needs to address the overpriced properties surrounding the MRT stations. This is imperative if we are to convenience the B40 and M40 groups into taking public transport,” it added. “National projects can no longer be catered for the few but for the many,” Cent-GPS concluded. What are your thoughts on the home affordability issue? Share with us. @ckre44 yes, what they fail to realise is that those who takes MRT frequently are mostly low to middle income ppl where affordability is most crucial to them. @henry Not really actually, expats do like to travel with MRT too. But what you mentioned is correct too, about the affordability.